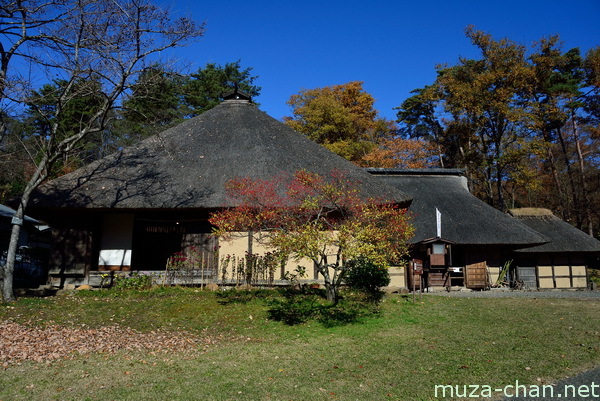 The area covered by today’s Iwate Prefecture was during the Edo period part of the Mutsu Province, well known for its horse breeders. The local farmhouses, called magariya, were adapted to horse breeding, including both the farmer’s house and the horse stable, separated by the doma. Photographed here is a magariya preserved at the Michinoku Folklore Village in Kitakami, a fascinating village museum that offer insights into the life of the Edo period farmers.